Ramus created a distinctive illuminated experience for Canterbury Leagues Club, integrating a rippling light facade across the top level of the building. Ramus created a distinctive illuminated experience for Canterbury Leagues Club, integrating a rippling light facade across the top level of the building. Ramus sought to articulate and animate the form, producing striking light fins designed to envelop the facade, while also complementing the existing design aesthetic of the building. The illuminated installation casts soft, moving light and images across the surrounding precinct, bringing the vibrant, warm energy from within the building into the surrounding space. The visual content is deeply considered and carefully curated, for the purpose of creating a deeper sense of engagement with guests. Bringing a sense of expansion to the total experience, the work brings a supportive, vibrant energy to the club, visitors and staff. 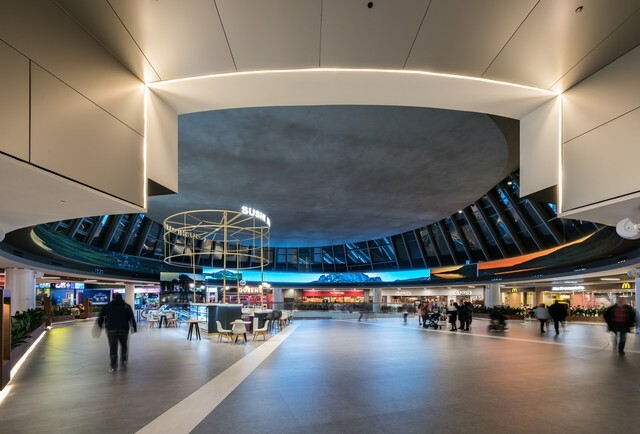 Ramus introduced a sense of expansion to the building, creating an experience that connects with the local community and also creates resonance and recognition on a national scale, creating a lasting, memorable impact long after visitors enter and leave. Facade type and geometry (structure) : Copper façade embedded with LED light blades spread across the facade. Kind of light creation : Low res LED screen and light facade with elegant LED blades spread across the top level of the building. Resolution and transmitting behaviour : The illuminated installation casts soft, moving light and images across the surrounding precinct, bringing the vibrant, warm energy from within the building into the surrounding space. The visual content is deeply considered and carefully curated, for the purpose of creating a deeper sense of engagement with guests. 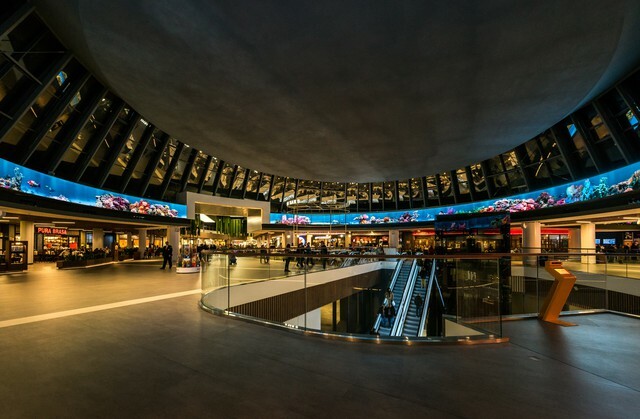 Urban situation : Ramus introduced a sense of expansion to the building, creating an experience that connects with the local community and also creates resonance and recognition on a national scale, creating a lasting, memorable impact long after visitors enter and leave.